Vijay Television is launching all new entertaining shows, and one such new show will be Enkitta modhadhe, this show is all set to get launched on April 21st at 8.30 pm. You can now watch all your favourite fiction stars taking up fun tasks and games along with their fiction family. Every week, the Show will feature your favourite stars representing their serial families like Raja rani, Saravanan Meenatchi, Avalum Nanum, Chinnathambi, Pagal nilavu, etc. Every week, the show will have two serial families who compete with each other. There will be four entertaining rounds, where the celebrities together along with their team will dance, sing, act, play games etc. This show is going to be a whole new level of Entertainment. In every episode, two comedy kings will represent the two teams which adds more fun quotient to the show. The competition between them is more of interactive fun-filled with entertaining elements. 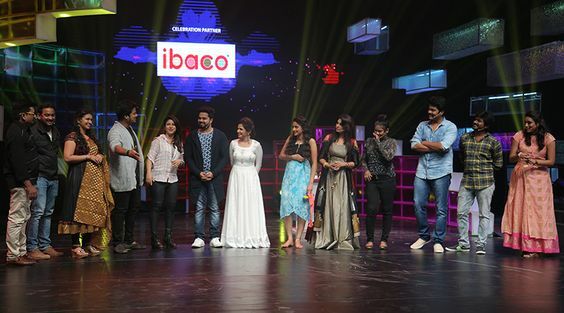 In the first episode, fiction stars from Raja Rani and Ponmagal Vandhaal will be competing. And notably, this entertaining show will be hosted by the chirpy and gorgeous anchor DD. The show will have lot of fun segments, surprise walk ins and lot more. So, don’t miss the entertaining show.